DAVID LE/Staff photo. 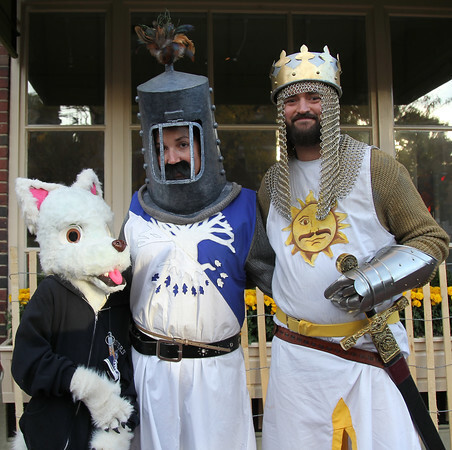 Beverly residents Jeremiah, Kara, and Lorelei Smith, pose as two knights and the evil rabbit from Monty Python and the Holy Grail. 10/31/15.